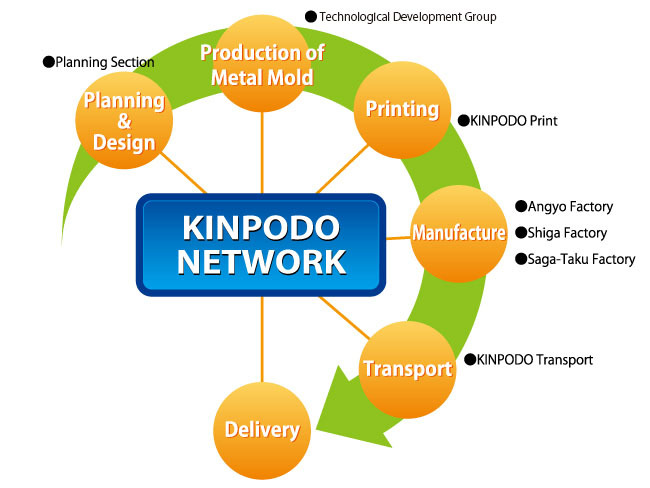 In domestic transanctions, KINPODO performs all manufacturing processes including design, printing and delivery in our group companies, which enables us to avoid waste, and supply high-quality products to customers. We keep the confidentiality of products, and improve the precision and efficiency of made-to-order Tin manufacturing throughout this network. 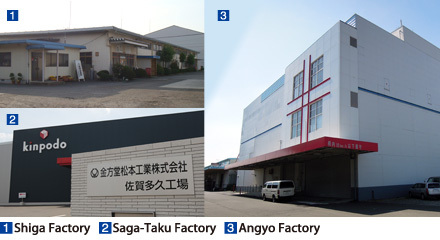 All manufacturing methods including the production of metal molds are developed at Technological Development Group. Tin plates are printed at KINPODO Print. Your information are kept confidential through the in-house printing. Manufacturing lines are different depending on the shape. With plenty lines, we are able to manufacture various types of Tins. In domestic transanctions, Our drivers deliver your manufactured Tins with minute attention not to damage the products.